People increasingly use hand held smart devices to connect to the Internet and access content, this makes Web Responsive Design essential. A responsive website changes its appearance and layout based on the type of devise and size of the screen the website is displayed on. 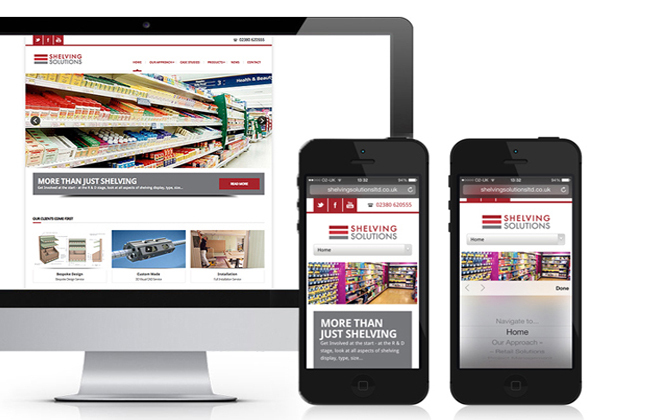 Web Responsive Design in conjunction with Goodchilds Design were delighted be asked to deliver the new Shelving Solutions Responsive Website. This site will be launched soon.